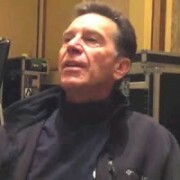 Gary Loizzo, the lead singer and guitarist for the American Breed and a very successful producer and studio owner, has died after a two-and-a-half year battle with pancreatic cancer. He was 70. David Bowie's filmmaker son Duncan Jones has broken his social media silence following his father's death a week ago. The Legion Festival, the crowd-funded event curated by drummer John Sankey in the aftermath of Soundwave, has released the following statement advising of changes to the event. Lil Wayne stormed off during a concert in Italy after the crowd failed to get behind his performance, according to a report. Boy & Bear have released a video for ‘Limit of Love’. Ryan Keen will return to Australia as special guest for the Jamie Lawson tour. Bruce Springsteen has paid tribute to David Bowie on the opening night of 'The River' tour in Pittsburgh. Cher has donated 181,440 bottles of water to the people of Flint, Michigan, who have not had fresh drinking water for over a year. The X-Files will return in 2016 in a 6-part miniseries on January 24 with part 2 airing the following night. Celine Dion's brother Daniel has died, just days after the death of her husband Rene Angelil. Prince has announced a gala event set for January 21 at his Paisley Park recording complex in Chanhassen, MN. David Bowie has 19 albums in Australia’s Top 150 this week with his latest ‘Blackstar’ coming in easily at number one. Last Friday the 8th of January was the 69th Birthday of music legend David Bowie and also the day that he released his 25th studio album entitled “Blackstar”, then two days later on the Sunday he passed away from his struggle with cancer, and as his album was already on track to take over the No.1 spot from Adele, it was then cemented to the top of the retail and digital sales charts and lands at No.1 on the ARIA Albums Chart this week. Holding for a sixth straight week at the top of the ARIA Singles Chart is Justin Bieber and “Love Yourself”, which also notches up 2x▲Platinum in sales this week too. SXSW founder Roland Swenson has been outted as “the vandal” who renamed Bowie St in Austin, Texas ‘David Bowie St’. Rapper Kendrick Lamar will be honoured with the Key to the City in his hometown of Compton, California. Musician Benji Madden "couldn't be more proud" of the contribution his wife Cameron Diaz is making to the world through her latest self-help beauty guide The Longevity Book. Adele and James Bay will lead the way at the 2016 BRIT Awards after landing four nominations apiece. There was really little doubt that David Bowie would have the number 1 album this week in Britain. 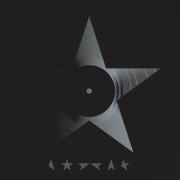 Interest in the album Blackstar was already strong even before his passing last Sunday. Singer Nick Carter insists the true story behind his arrest on Wednesday night has not yet been revealed. Rene Angelil's funeral service will take place at the Notre-Dame Basilica in Montreal, Canada, where he married Celine Dion in 1994. Spike Lee has made a new documentary of Michael Jackson, following his career from his start in entertainment to the making of his solo breakthrough, Off the Wall. Flume has released 'Never Be Like You' featuring Kai, the first single from his upcoming 'Skin' album. Fathom Events, along with Warner Brothers Records and AARP, are once again presenting a music event at theaters around the country. Celine Dion has scrapped two of her Las Vegas residency shows following the death of her husband Rene Angelil. Country Music Hall of Fame member Mel Tillis is currently recovering in a Nashville hospital after undergoing colon surgery.